ALL PACK ENGINEERS came into the existence into the year 2011, We are a manufacturer and supplier of Water Treatment & Purification Plant. Dedicatedly working from over 11 years in the domain the products we offer comprises of Water Treatment Plant, RO Plants and Filtration Plant. Today, drinking water filtration system is essentially required in each sphere whether domestic, industrial or commercial. From our end we always try to maintain quality in the provided assortment of water purification system. We are the only company that follows total quality management approach at our base in order to bring our best quality range of treatment plant. 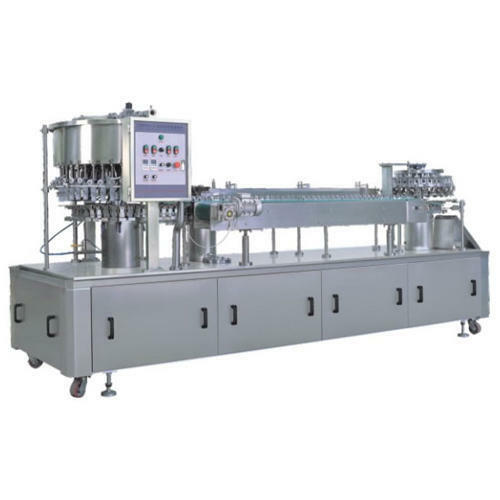 We are leading manufacturer of Automatic bottle filling machine, Mineral water bottling plant, Automatic pouch packing machine, Automatic liquid filling machine, Automatic bottle packing machine, Mineral water Packing machine and Turnkey Mineral Water Project with ISI consulting. We owned to a big & spacious production house which is situated in the prime location of Ahmadabad, Gujarat, India. Following latest & advanced production techniques we process our entire range in adherence to the latest industrial norms. Additionally, our professionals strengthens us by working efficiently as per the deemed quality standards that are laid by the industry experts. All our activities are carried out under the strict vigil of quality controllers. Similarly, before the dispatch of products the entire range is checked thoroughly by the experts that make sure that no defect will be left untouched. Moreover, we put our best efforts in order to serve a world class array of products in timely & stipulated manner.Appreciated across the nation for manufacturing and supplying of Water Treatment & Packaging Plant, All Pack Engineers of Gujarat. The product range offered by us is inclusive of Water Treatment Plants, ISI Mineral water Plants and Blow Molding Machines & Mineral Water Bottle Making Machines. Known for their less power consumption, high performance, user-friendly operation and longer functional life, these machines are manufactured from quality assured materials such as stainless steel. As per the requirements provided by the customers, these RO & water plants can be customized. Additionally, offered range is available with us at industry leading prices. Spread over a wide area of land, we have established a huge infrastructural facility that is known for carrying out standardized operations. By dividing our infrastructural facility into several units, we ensure that all the on-going processes are carried out in most streamlined manner. Known for its large scale production capacity, our infrastructural facility is upgraded at regular basis in order to meet the diversified requirements of ever-changing market trends in the most efficient manner.